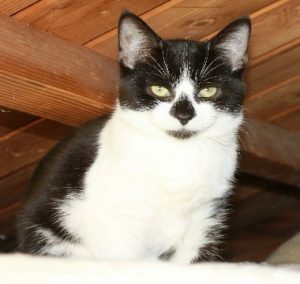 Shilah – Shilah came into Lowhills with her 5 siblings and her cousin Boo, who is about a month or two older than her. The litter she was in were given up due to the owner not being able to care for them but they all ranged in how timid they were. Boo the cousin is a confident male but can get worried easily and Shilah who prefers hardly any human contact at all. She does however love her cat companions and is best friends with Petal and Spooks. Little Shilah will likely stay with us as a sanctuary cat. You can sponsor Shilah who is 2 years old for £25.00 a year, or more if you want to.